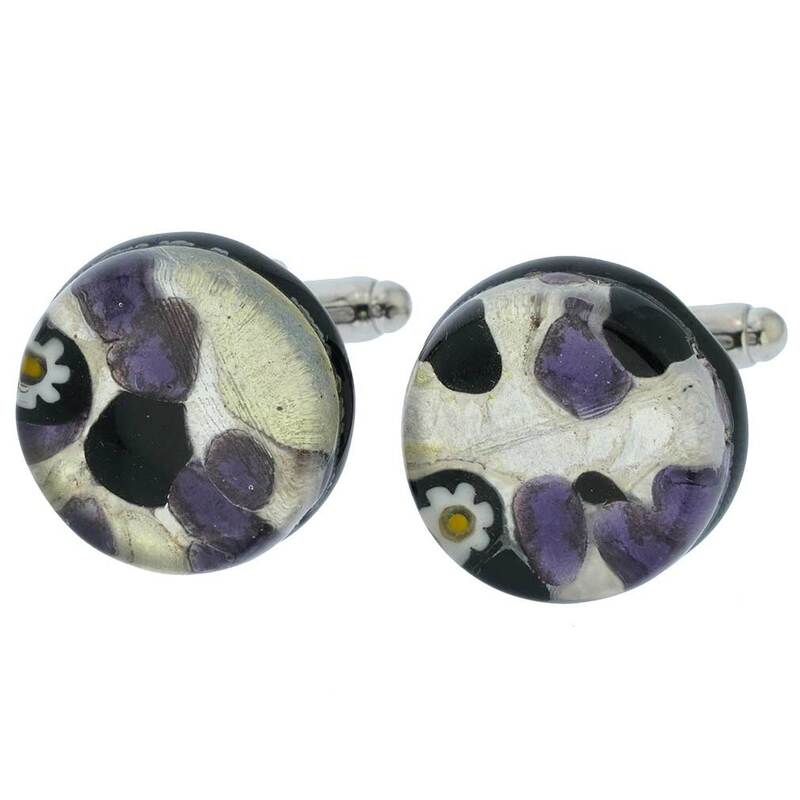 These Murano Glass cufflinks are sophisticated and unique, just the thing for a modern man who is ready to conquer everyday challenges in style. Handcrafted by experienced Murano Glass masters, the cufflinks project European elegance with their rich colors and silver foil infused in the glass for subdued shimmer. Measurements: Each cufflink measures just under 3/4 inch in diameter. 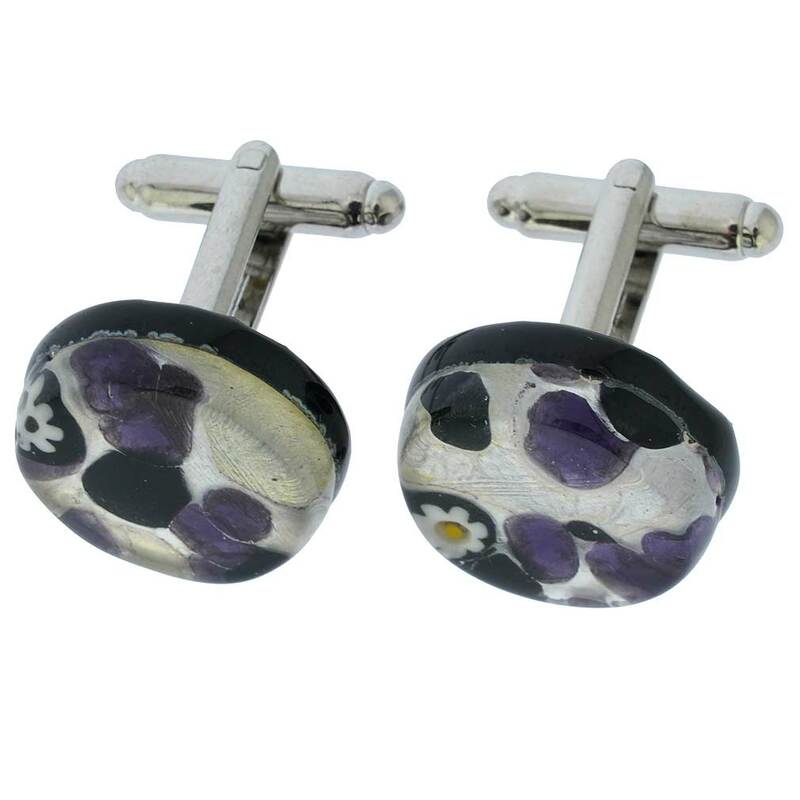 These Murano cufflinks come with an attractive velvet pouch and a certificate of authenticity. Due to the glass-making technique used to make these cufflinks entirely by hand, there are always some variations of colors and patterns and no two are exactly alike. This is not a defect but the very feature that distinguishes handcrafted Murano Glass. My husband loved them. They were beautiful. We received them in a timely manner.